Intrigued by the idea of ski touring out of a backcountry lodge but not sure if you’ll like it? A new virtual reality experience launched in Arc’Teryx stores across the country on November 15 is here to help. 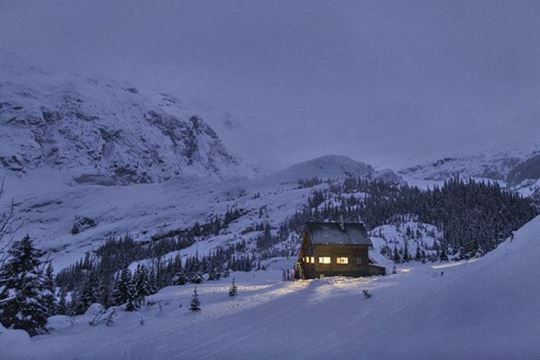 Hut Magic (video) uses virtual reality to explore remote ski hut living. The flick follows Arc’Teryx athletes Greg Hill and Christina Lustenberger during a week of ski touring, powder skiing and hanging in a hut in northern B.C. Hut Magic was filmed in partnership with Google and Whistler-based ski film company Switchback Entertainment. “Using Google’s Jump technology, we were able to work closely with Switchback Entertainment to capture the very essence and beauty of a hut experience and share it with Arc’teryx customers through virtual reality,” says Sarah Steele, VR Program Manager, Google. To experience Hut Magic head into any Arc’Teryx brand store.